Ever since a friend of mine brought over some amazing nutella brownies a couple weeks ago, I’ve been dying to make a dessert of my own with the addictive chocolate hazelnut spread. With a little research, I discovered that you don’t have to add many things to nutella to make a delicious brownie batter or cookie dough. 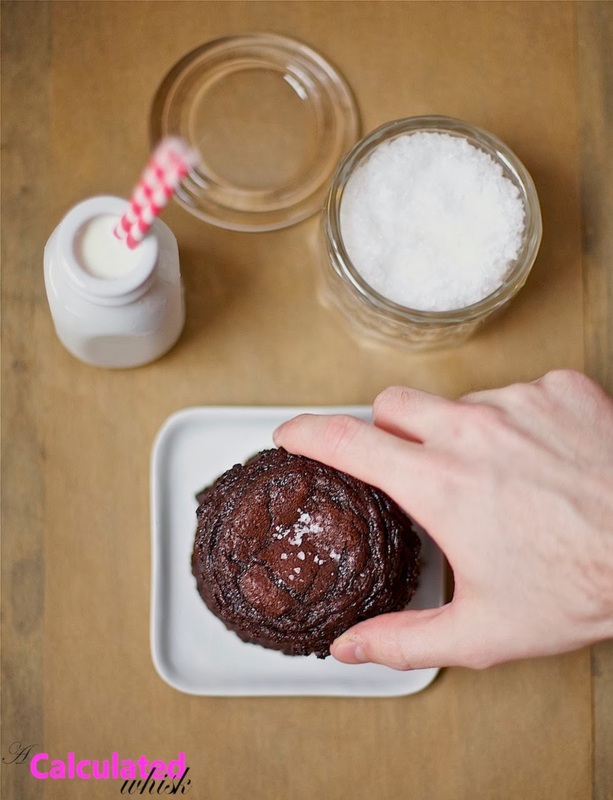 You can even make gluten-free nutella brownies with just three ingredients. 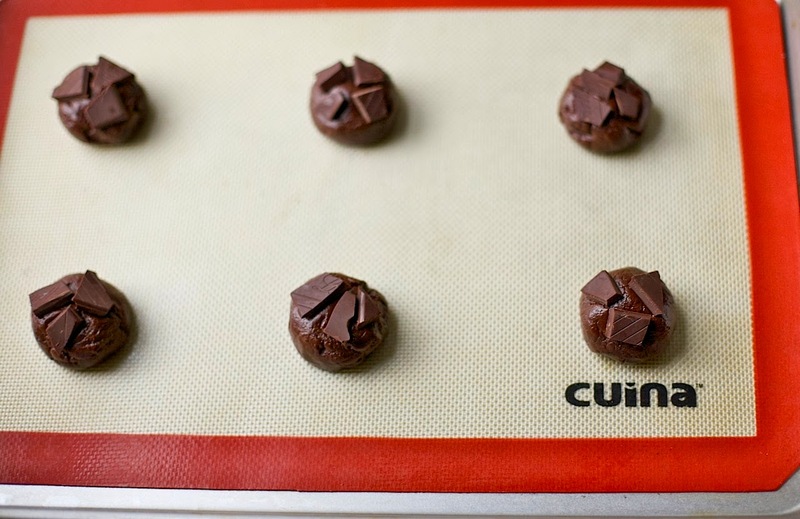 However, I decided to make cookies–I was craving something that was both chewy and crunchy, and wanted another chance to use my Cuina silicone baking mat. 1. Wake up and tell your boyfriend he can take the car to work, since it’s your spring break and all you really have to do all day is make cookies. 2. After he leaves, immediately regret your decision when you remember you need to go out and buy nutella for the cookies. 3. Eat some leftover bacon & sweet potato chili with a fried egg on top for breakfast, while wondering if there’s any way to get nutella delivered to your home. You decide there probably isn’t. 4. Call your mom to see if she wants to come over for lunch, and perchance bring a jar of nutella. She’s busy. 5. Walk to the Vietnamese grocery store around the corner, and scour every aisle looking for nutella. Wonder how a place that carries Milo, Ovaltine, and Cafe du Monde chicory coffee can neglect to carry this international superstar of a spread. Ask the checkout lady if they sell nutella, and receive a blank stare. Pick up a few other ingredients for another dish you’re working on. 6. Go back home to put away the other groceries, and call Rite Aid to see if THEY sell nutella. They do. 7. On the way there, decide to check another small grocery store for nutella, since you don’t feel like walking all the way to Rite Aid. When rounding the corner at the end of one of the aisles, you come upon a little girl who looks up at you and says, “Wow, you are TALL!” There’s no nutella. Not even for tall people. 8. Walk half a mile to Rite Aid and buy nutella, then walk home. By this time it’s raining. 9. Make cookies, finally. They are amazing. Eat one from each cookie sheet, just for quality control. 10. Take a million pictures. In the end, my search was definitely worth it. 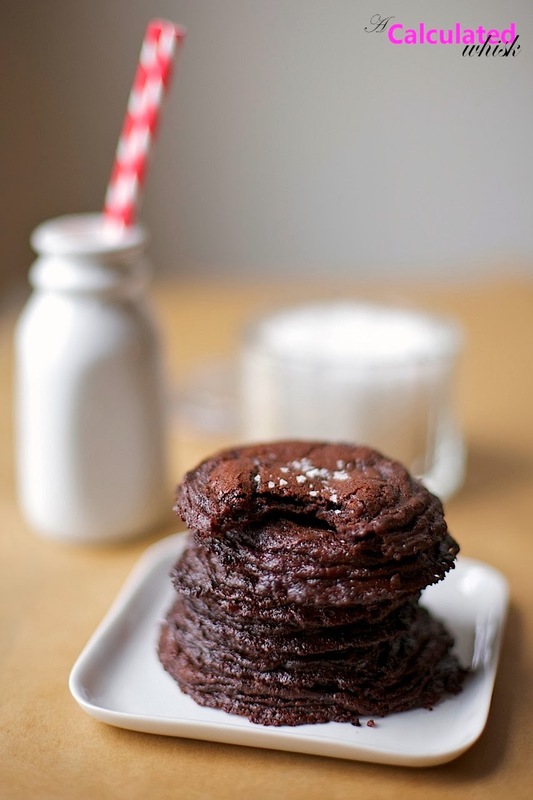 These cookies are so good–crispy on the outside, chewy in the middle, and nice and fudgy. The sea salt on top makes them even better. I can’t stop with the salty desserts! Next time I think I’ll try making my own paleo nutella, and see how that works in these cookies. I loved using my Cuina baking mat for this recipe. If you don’t have one yet, I highly recommend getting one (or two). I thought I was onto something great when I discovered parchment paper, but these mats are even better since you can wash & reuse them. They’re completely nonstick without any oil or spray, and they keep your sheet pans nice and clean. In addition to using my mat for these cookies, I also used it to roast cauliflower for this roasted cauliflower with creamy cilantro pesto. After baking with the mat, I just wash it off with a little soap and warm water and hang it up to dry. The folks at Cuina Kitchen are giving away one of these awesome silicone mats! See the Rafflecopter widget below the recipe to enter. Mix together all the ingredients except for the chocolate chunks and flaky sea salt until well incorporated. Roll the dough into tablespoon-sized balls and place them on a plate. If you are using chocolate chunks, press a few of them into the top of each ball. Put the plate of dough balls in the freezer for 30 minutes. Place the dough balls several inches apart on the baking sheets (I placed six cookies on each sheet) and bake for about 12 minutes, until just set in the middle. After removing the cookies from the oven, sprinkle each one with a bit of sea salt. Let the cookies cool completely on the pan, then enjoy! 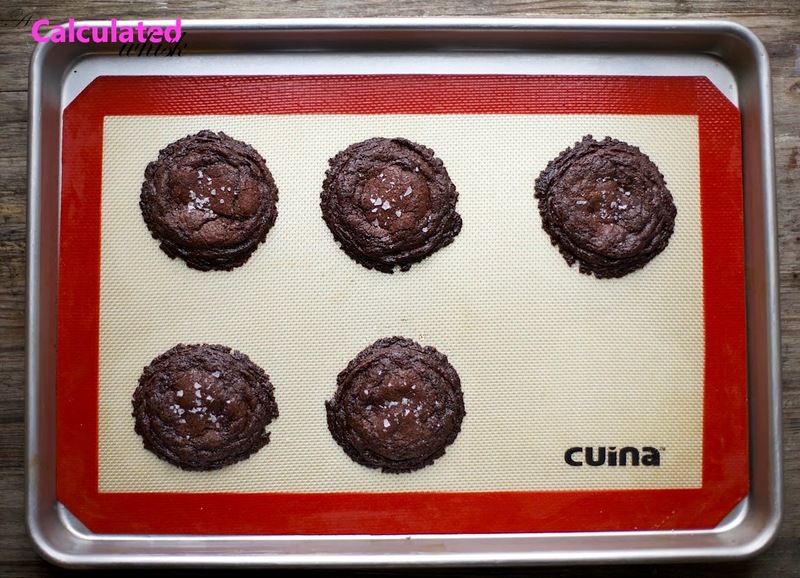 Disclosure: I received a free Cuina baking mat using Tomoson.com. 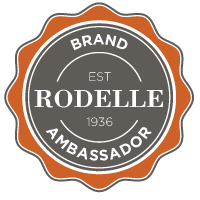 As always, all opinions are my own, and I only recommend products I use and enjoy. Holy moly. All I can say is PINNED. I don't have tapioca flour on hand, though; do you think sweet rice flour would do the trick? Probably! I have not tried baking with sweet rice flour, but since this recipe only calls for a few tablespoons, I bet it would work with almost any starchy flour. I was inspired by a brownie recipe that called for just nutella, egg, and baking soda, and then just added enough cocoa and tapioca flour to make the dough hold together for cookies. Let me know how it goes if you try it! I'd bake oatmeal cookies with this mat. I would bake sweet potato french fries on them! I have an old beat-up silicone mat which I use for that and it keeps the fries from sticking to the pan! I really neeed a new one! Probably these cookies! I've been obsessed with almond butter-oatmeal-dark chocolate chip cookies… so maybe those, too. I would love to try almond butter oatmeal chocolate chip cookies! Almond butter is my favorite. Do you have a recipe you recommend? Sounds delicious. I have never made toffee. Do you have a favorite recipe? I'd love to make a batch of linzer cookies! Yum! I have never tried granola cookies! I'll make my favorite gluten-free chocolate chip cookies. Sounds delicious! What recipe do you use? I would make lemon sugar cookies or windmill cookies first. Yum, I love lemon cookies. Do you have a favorite recipe? I've never tried making windmills–is it hard? cookies! probably oatmeal pb chocolate chip to start. Wow, Christine! Are the sugar raisin crisps kind of like cereal? Or more like sweet crackers? 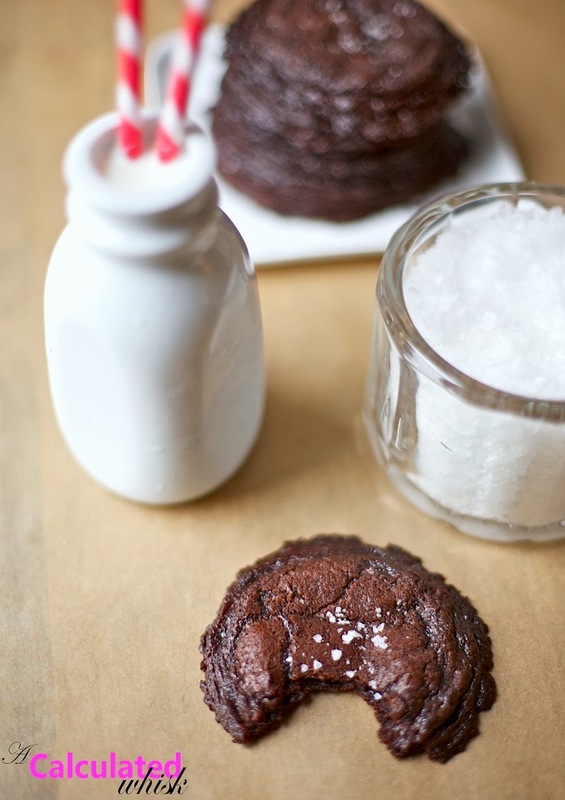 I'd bake these cookies, but I'd sub the nutella for homemade hazelnut butter. They look delicious! Great idea! Does your hazelnut butter recipe have chocolate & some kind of sweetener already in it? If not, you'd probably need to add some. I'm going to try making my own once I get a new food processor–do you recommend a recipe? I would make some artisan bread! These mats are perfect for it!! Ooh, great idea! Do you have a favorite recipe?